At the Pnyx excavations very few pottery fragments of the Geometric period were found, denoting though human presence on the Hills during this time. Few Geometric finds were also located at excavations in the area of the church of Agios Demetrios Loumbardiaris. 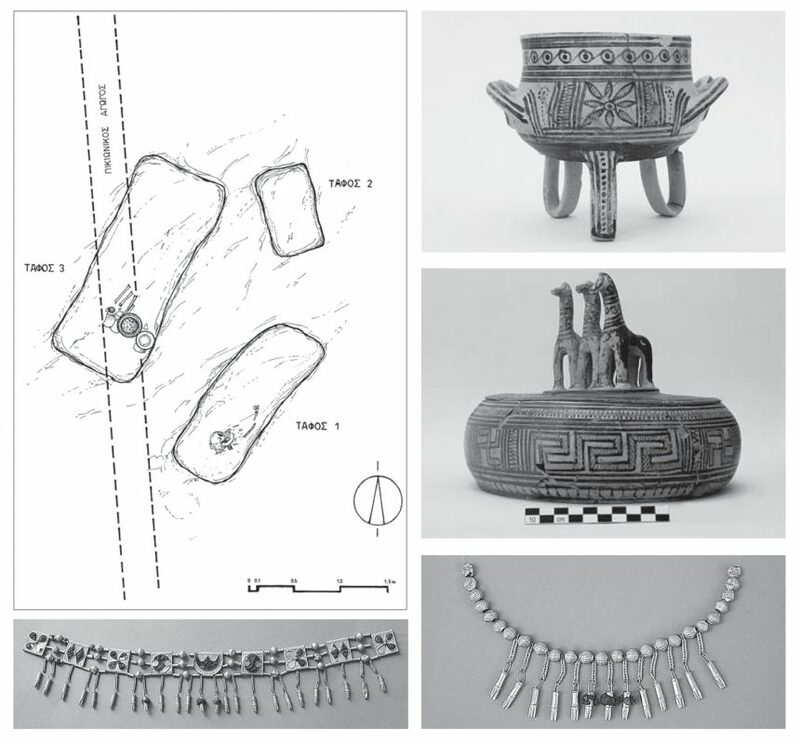 However, recent excavations at the eastern slopes of the Hill of the Muses (Philopappos) revealed a cluster of three graves of the Geometric times containing notable findings. It is possible these graves are part of a cemetery that expanded in the area during this period. Plan of graves and important finds from the Geometric cemetery excavated at the Hill of the Muses (Philopappos): cosmetics boxes and jewellery.